Failed hip replacement surgery can cause severe pain, catastrophic injuries, physical impairment, and the need for additional hip replacement surgery. Failed hip replacement surgery can be caused by medical negligence or defective hip implants including Zimmer Cups, Trident Hemispherical Cups, Trident PSL Cups, DePuy ASR Hip Resurfacing Systems, and Depuy ASR XL Acetabular Systems. Regardless, as to whether the failed hip replacement surgery lawsuit is caused by a defective cup or implant, and/or medical negligenct, a failed hip replacement lawsuit can take significant resources to investigate and litigate. When investigating these potential failed hip replacement surgery lawsuits, it is important to know what implant has been used as well as to obtain medical records of the surgery. 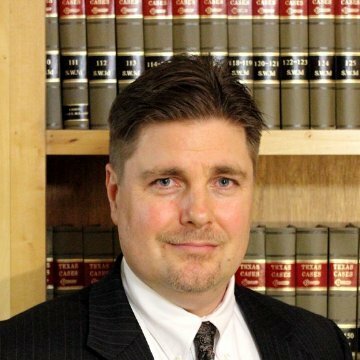 If you or a family member have been the victim of a failed hip replacement surgery including a defective hip replacement cup implant or hip replacement system, please feel free to submit an inquiry or send an e-mail to Texas failed hip replacement surgery and defective hip implant lawyer Jason Coomer. He is a Texas defective product lawyer & medical negligence lawyer and commonly works with other product liability and medical negligence lawyers to investigate and handle medical negligence & product liability lawsuits. Regardless, as to what type of failed hip replacement surgery lawsuit a person is litigating including a defective Zimmer Cup lawsuit, defective Trident Hemispherical Cup lawsuit, defective Trident PSL Cup Lawsuit, defective DePuy Orthopaedics Inc. ASR Hip Resurfacing System lawsuit, defective DePuy ASR XL Acetabular System lawsuit, and/or a medical negligence hip replacement lawsuit, a failed hip replacement lawsuit can take significant resources to investigate and file a lawsuit. To pursue a failed hip replacement surgery lawsuit, it will be necessary to obtain the person medical records, medical expenses, and type of implant that was implanted. During the inspection of your firm, Stryker Howmedica Osteonics Corp., located at 325 Corporate Drive, Mahwah, New Jersey on June 1, 2007 through July 12, 2007, our investigator from the United States Food and Drug Administration (FDA) determined that your firm manufactures ReUnion Plasma Spray Humeral Stem, Solar Plasma Purefix HA Shoulder Stems, Trident PSL Acetabular Shells, Duracon Toatal Knee Modular Femoral Component, hip implant components (Trident PSL HA Solid Black 52 MM, Trident Hemispherical Cluster 50 MM), hip implants with ceramic bearing components, and Global Modular Hip Stems. Under section 201(h) of the Federal Food, Drug, and Cosmetic. Act (the Act), 21 U.S.C. 321(h), these products are devices because they are intended for use in the diagnosis of disease or other conditions or in the cure, mitigation, treatment, or prevention of disease, or are intended to affect the structure or function of the body. A) CAPA 6055 documents the following root causes of the Trident Cup loosening: the most probable cause is related to the differences in [redacted] concerning [redacted] a dimensional mismatch exists between the [redacted] and the [redacted] (the differences in tolerances bands between the [redacted] and [redacted] result in a wide range of pressure fit); visual and dimensional inspections conclude [redacted] processes demonstrate variation [redacted] dual manufactured products are cleaned differently in your [redacted] and [redacted] plants (there is no divisional change control procedure to ensure process changes are properly validated, communicated and implemented by all plants; current procedures do not assure dual manufactured products are equivalent; plants may have different inputs, but there are no system in place to verify that the outputs are equivalent); testing indicates [redacted] manufactured shells exhibit higher residual values than [redacted] manufactured shells. Your firm now believes that the implant fixation failures are caused by failure to achieve initial biological fixation that may be related to patient variable and/or surgical techniques, which would not be related to the design or manufacture of the implants. However, your finn has not prevented the recurrence of poor fixation of the hip implant component or prevented the failure to function which has resulted in revision surgeries. The causes of detected or potential nonconformities have hot all been identified in order that a program to prevent recurrence may be developed. For example, your memo that is dated June 28, 2007 (Reamer/Shell Tolerances Stack Up) states that the process of manufacturing acetabular reamers is imprecise due to variations in the [redacted] of the [redacted]. The affected manufactured implants and reamers night have possible dimensional mismatches due to manufacturing problems (deviations). B) CAPA 4293 states that customer complaints have been received for squeaking/noisy ceramic on ceramic hip joints, for which the following root causes have been determined: The root cause is multi-factorial; squeak is a phenomenon associated with hard-on hard bearing surfaces; it occurs when there is a break in the lubrication layer between the bearing surfaces; this break could be caused by a mismatch of [redacted] and [redacted] microseparation or subluxation of the [redacted] from the [redacted] articulation with stripe wear. Your firm now believes that the root cause in the majority of ceramic squeaking cases is associated with articulation of the [redacted] against the [redacted] termed characterized as [redacted] Prolonged [redacted] may ultimately lead to the formation of a wear scar, which is a located abraded area on the [redacted] surface and along the outer edge of the insert. However, CAPA 4293 does not evaluate the causes of breakage, stresses in parts, and loss of function requiring revision surgery. For example, your potential failure mode (d-FMEA) states that the potential engineering cause of the failure for breakage is due to the quality of the [redacted] (chip off due to quality of [redacted] and misfit of component [redacted]. These potential failures of your devices include local insert fractures ([redacted] chip migrates within joint causing [redacted] fracture) breakage and migration within the joint which causes pain and loss of function requiring revision surgery, and a mismatch of the [redacted] and [redacted] which results in excessive stresses in parts [redacted] breaks apart and migrates within the joint). Furthermore, your firm has failed to implement effective corrective or preventive actions in order to prevent the recurrence of nonconforming product and other quality problems. For example, Complaint 64304, dated December 13, 2006, states that the patient felt grinding crunching and screeching in the right leg and felt unstable (pain when sitting) with your Alumina C-Taper Head. It was reported in the complaint that the [redacted] head was in "pieces". Complaint 71000, dated March 20,2007 reports that a patient went to the hospital because they felt that something was wrong and x-rays showed a broken cera (fractured or fragmented or cracked). The complaint reported that the device failed to function. C) Your firm has received complaints for improper seating of hip implants in broached bones resulting in bone fractures. (Your firm's medical assessment indicates that the improper seating of a femoral stem may cause a bone fracture due to a forced seating and a revision surgery if the fracture is unnoticed until post surgery). Your investigation attributed the improper seating to a tolerance mismatch between the [redacted] of the [redacted] and implants after analysis of manufactured devices. However, your firm has not evaluated other manufactured devices to ensure that they are not mismatched between implants and [redacted] or [redacted]. Your firm has been receiving complaints since 2005, concerning various types of dimensional mismatches between implant components or implants and [redacted] but your firm has not implemented effective corrective or preventive actions in order to prevent the recurrence of nonconforming product and other quality problems. Your firm's August 1, 2007 response indicates an increase in product complaints/product experience reports (PER's) for acetabular shell loosening; however, no effective corrective or preventive actions were executed by your firm in order to prevent the recurrence of nonconforming product and other quality problems. Your firm states that your Trident shells have a better press-fit than their historic counterparts and your tolerance analysis represents an absolute worst case which is worse than what could ever happen is surgery; however, your firm has not verified or validated any corrective and preventive actions in order to prevent the recurrence of nonconforming product and other quality problems: Worse case scenarios are not corrective and preventive actions. Your firm needs to control and take action on devices distributed, and those not yet distributed, that are suspected of having potential nonconformities. Your response states that an extensive investigation was conducted via CAPA 4293. However, your CAPA investigations (including the information provided in your responses) do not evaluate the breakage clue to the quality of the [redacted] (chip off due to quality of [redacted]. Your firm has failed to prevent the recurrence of squeaking noises of hip implants with ceramic bearing components which have resulted in revision surgeries due to implant failures (fractures, pain, wear particles, and fragments). Your August 1, 2007 response states that a trend analysis was performed by your firm on April 19, 2005 which shows an increase in product complaints/product experience reports (PERs). However, no effective actions were taken to control nonconforming product in distribution. Your response indicates that a medical assessment was performed to the findings of CAPA 4293. However, no validation of any corrective and preventive action was provided in order to ensure that any such action is effective and does not adversely affect the finished device. Your response states that [redacted] may be affected by implant positioning and orientation. The variables at directly affect the [redacted] are clinical in nature and common to all Total Hip Arthroplasty procedures. However, your firm must test the performance of your devices under actual conditions of use in the actual environment in which the device is expected to be used. Your firm continues to receive complaints that have resulted in revision surgeries without verifying and validating a corrective and preventive action. Your response states that no dimensional mismatch will occur based on tolerance bands of the [redacted] and [redacted](manufacturing tolerances have ruled out the causes of the squeaking; no causal relationship between squeaking and failure of the device; no manufacturing or design related discrepancies that result in squeaking). However, CAPA 4293 which was provided as an attachment to your August 1, 2007 response states that there was a case in which a mismatch of [redacted] and [redacted] resulted in a "squeak". In addition, CAPA 4293 (collected during the inspection) states that the squeak is a phenomenon associated with hard-on hard bearing surfaces; it occurs when there is a break in the lubrication layer between the bearing surfaces; this break could be caused by a mismatch of [redacted] and [redacted] microseparation or subluxation of the [redacted] from the insert; articulation with stripe wear. Furthermore, your potential failure mode (d-FMEA) states that an insert and [redacted] head mismatch results in excessive stresses in parts [redacted] breaks apart and migrates within the joint which causes pain and loss of function requiring revision surgery). This potential failure of your devices can cause local insert fractures ([redacted] chip migrates within joint causing [redacted] fracture). A) Technical Report # MA-07-1604-PR1 indicates that the coating was delaminated in July of 2006, and again during production on March 1 and 12, 2007 by your contract manufacturer. In July of 2006, the plasma coating delaminated during the development of the [redacted]. Your firm determined that the root cause was the [redacted] and [redacted] which had an effect on the coating [redacted]. Your firm incorporated an additional [redacted] to reduce the amount of [redacted] on the [redacted] and resumed production. However, on March 1st" and 12th of 2007, your contract manufacturer reported that [redacted] HA Solar Plasma Stems from [redacted] lots had delaminated during the [redacted] process after [redacted]. No assignable cause has been identified by your firm to date. B) Your firm's Potential Failure Mode and Effect Analysis (dated May 22, 2006) for the design of the Solar Humeral Component identifies the [redacted] of the [redacted] as the potential engineering cause of failure for the plasma delamination. However, Technical reports T-1272 (dated May 25, 2006), T-1295 (dated May 23, 2006), and T-1263 (May 10, 2006) are validation studies for Purefix HA and plasma [redacted] which do not validate the plasma coating [redacted]. C) Your firm allows each coated in-process implant to continue further processing with an acceptable [redacted]. However, the [redacted] testing of the material specimens does not capture the coating failures of the finished implants. For example, the material specimens passed the [redacted] on March 12, 2007, even though the finished coating was actually delaminated for the Solar Plasma Purefix HA Shoulder Stems. Your firm has established that the supplier (contract manufacturer) is responsible for determining the process steps (process validations) necessary to produce plasma sprayed coating that would meet your specification requirements. However, your firm did not provide any records: to the Investigator for review due to trade secrets and no records from your contract manufacturer were provided in your responses. Your August 1, 2007 response states that no assignable cause has been identified to date concerning the Solar Plasma Delamination. However, your firm's Potential Failure Mode and Effect Analysis (dated May 22, 2006) for the design of the Solar Humeral Component identifies the [redacted] of the plasma coating as the potential engineering cause of failure for the plasma delamination. Your firm has failed to perform corrective and preventive actions in order to prevent the recurrence of nonconforming product or other quality problems associated with the Solar Plasma Delamination. Your firm states in your August 1, 2007 response that you have the documentation to support the validation of the plasma coating process at your contract manufacturer. However, your memo to file for observation four, dated July 24, 2007, which was included as an attachment to your response, states that you need to validate an [redacted] at your contract manufacturer in order to show that implanted Solar Plasma Stems have no issues with the [redacted] of the Titanium Plasma coating. A) Microbial out of specification results (70, 32, 24, and 21, [redacted]) were reported for [redacted] packaging cell air sampling locations the week of May 30, 2006, which was attributed to plates incubated in the improper position causing elevated counts. However, the out of specification results (45, 42, 46, 63; [redacted]) were reported for the same sampling locations for the following week. No corrective actions were performed by your firm!in order to prevent the recurrence of out of specification results. B) Microbial out of specification results (September 1 result was 19 and October 6 result was 17; [redacted] were reported for location packaging cell 3 on September 1, 2006 and October 6, 2006. Your firm identified the organism as Staphylococcus spp (Gram positive cocci in clumps and clusters). No corrective actions were performed by your firm in order to prevent the recurrence of out of specification results. C) Microbial out of specification results for the cleaning room purified water system (March 9, 2006 was 102 and March 16, 2006 was 58; [redacted] were reported for Branson # 1 water at source on March 9, 2006 and March 16, 2006. Your firm identified the organism as Rhodococcus spp. and corynebacterium propinquum (Gram Positve cocci-bacillus). No corrective actions were performed by your firm in order to prevent the recurrence of out of specification results. Your revised Packaging Cell Environmental procedure, 90S1512, included in your August 1, 2007 response,no longer requires corrective actions to be implemented when microbial limits are exceeded. Furthermore, information concerning microbial identification and risk assessment concerning the impact on the product will not control or prevent the microbial out of specification results from recurring. The implementation of procedure D00665, Out-of-Specification (OOS) Lab Results Investigation Procedure, Version 1, included in your August 31, 2007 response concerning an "NCR will be issued and corrective actions shall begin immediately" will need to be verified with a follow up inspection. A) Regulatory Summary (RA # 2007-020) indicates that on May 10, 2007 your firm decided to remove approximately [redacted] units of ReUnion Plasma Spray Humeral Stem from the market due to a discovery of a delamination of plasma spray from a humeral stem, Lot # Ti T65826-T, during an in-process inspection on January 12, 2007. Your firm had noticed that a portion of the titanium plasma spray applied by an outside vendor, [redacted] appeared to be lifted off of the substrate. The lifted coating was roughly [redacted] which delaminated from the shoulder stem. Your January 29, 2007 technical assessment and medical assessment states that if the coating were to become loose in-vivo, the patient would be at risk of having the loosened fragment migrate into the soft tissue and possibly even into the articulation of the humeral prosthesis, and that this would present a potentially moderately severe complication which may require revision surgery either to remove the loose fragment or conceivably to replace the component entirely. Furthermore, the complication would include possible inadequate device fixation, possible increased component wear, and possible increase in circulation of metal ions. B) Regulatory Summary (RA # 2006-007) indicates, that on March 9, 2006 your firm decided to remove approximately [redacted] units of Trident PSL Acetabular Shells, Lot # 37830601, from the market due to a discovery of a machine operator's failure to inspect product dimensional features prior to release, for which [redacted] out of [redacted] Shells where found to be out of tolerance. Your March 1, 2006 technical assessment and medical assessment states that if the taper on the ceramic sleeve does not lock with the taper on the shell, then the ceramic liner is free to move with the shell (hazard is moderate). This motion between the two metal surfaces will create metal wear debris particles. Over time, these particles may lead to metalosis and require revision surgery. In addition, if the compressive forces are removed from the hip, the liner may be able to slide out of the shell and dislocate the patient's hip. In this scenario, no closed reduction would be possible, necessitating a revision surgery. Furthermore, your medical assessment states that the greatest medical risk to the patient is a non-solidly locked insert which will potentially lead to immediate removal and change of the shell or premature failure (due to debris). In addition your technical and medical assessment states that increased medical risk to patient will occur when the locking bead on the poly liner is only partially captured and the locking strength is compromised. The surgeon would not notice that locking strength was compromised and the increased forces applied by a constrained liner could cause disassociation which would force revision surgery. Your firm does not have an adequate system in place to identify when a correction or removal needs to be reported to the FDA as required under 21 C.F.R. § 806. Your firm needs to control and take action on devices distributed that are suspected of having potential nonconformities. The examples cited above were submitted and reviewed by the agency as a recall after it was brought to your attention during the inspection (Cited as observation one on the FDA-483). The agency has classified the above examples as an II which is a situation in which use of, or exposure to, a violative product may cause temporary or medically reversible adverse health consequences or where the probability of serious adverse health consequences is remote. Your response to the correction or removal violation on the FDA-483 does not identify if any corrective actions have been taken to address the immediate cause of the delamination or provide validation/verification of the corrective action. Your firm needs to determine what the underlying GMP root cause of what brought about the delamination such as inadequate purchasing controls, validation of the vendor's process, and preventative action taken to address the underlying GMP root causes (validation/verification of the preventive action). Please notify this office in writing within fifteen (15) working days from the date you receive this letter of the specific steps you have taken to correct the noted violations, including an explanation of how you plan to prevent these violation(s), or similar violation(s), from occurring again. Include documentation of the corrective action you have taken. If your planned corrections will occur over time, please include a timetable for implementation of those corrections. If corrective action cannot be completed within 15 working days, state the reason for the delay and the time within which the corrections will be completed. Your response should be sent to: Robert J. Maffei, Compliance Officer, U.S. Food and Drug Administration, 10 Waterview Boulevard, 3rd Floor, Parsippany, New Jersey, 07054. If you have any questions about the content of this letter please contact: Mr. Maffei, Compliance Officer at 973-331-4906. Finally, you should know that this letter is not intended to be an all-inclusive list of the violation(s) at your facility. It is your responsibility to ensure compliance with applicable laws and regulations administered by FDA. The specific violation(s) noted in this letter and in the list of Inspectional Observations, Form FDA 483 (FDA 483), issued at the closeout of the inspection may be symptomatic of serious problems in your firm's manufacturing and quality assurance systems. You should investigate and determine the causes of the violation(s), and take prompt actions to correct the violation(s) and to bring your products into compliance. Unfortunately, there are medical clinics, medical implant sales people, and doctors that are more interested in profit and their bottom line than what is best for a patient. Some of these medical professionals carelessly cause painful and difficult conditions to become much worse by pushing defective medical devices or pushing surgeries when other less drastic medical options are available. As such, it is usually best to get a second or third opinion prior to agreeing to have a hip surgery operation as well as to make sure that you trust your medical providers and are sure that they are working in your best interest. As a Texas medical malpractice lawyer Jason Coomer handles Texas medical malpractice claims as well as federal medical malpractice claims and commonly works with other Federal Medical Malpractice Lawyers and Medical Malpractice Lawyers throughout the nation to seek compensation for wrongful death claims and severely injured patients that have been injured through medical mistakes and medical carelessness. To have a successful claim, you have to have a doctor willing to testify that medical malpractice occurred and the negligence resulted in damages. This medical negligence has to be more than just a bad result or judgment call, it has to deviate from the standard of care in the medical community. As a Texas medical malpractice lawyer, Jason Coomer works with other professionals to review and handle medical malpractice claims. Regardless, as to whether the failed hip replacement surgery lawsuit is caused by a defective Zimmer Cup, defective Trident Hemispherical Cup, defective Trident PSL Cup, defective DePuy Orthopaedics Inc. ASR Hip Resurfacing System, defective DePuy ASR XL Acetabular System, and/or medical negligence, it is important to understand the cause of a failed hip replacement surgery. If you need a Texas Failed Hip Replacement Surgery Lawyer, Failed Hip Resurfacing System Lawyer, or a Failed Hip Cup Implant Lawyer, feel free to contact Texas Failed Hip Replacement Surgery Attorney, Jason S. Coomer. His office frequently works with other Failed Hip Replacement Surgery Lawyers throughout Texas and the United States.